Russian Forces, 500,000 Grand Duke Nicholas, Generalissimo Army of the Niemen, Gen.
Let us now scan the flaming arena of war in the East, where Russia has been grappling single-handed with her most puissant foes, Prussia and Austria, along a battle line 1000 miles in extent, reaching from the Baltic Sea southward to the farthest passes of the Carpathians. When the war-clouds broke over Europe in July, civil discontent was rife in Russia, and anxious observers believed that the country was on the verge of another internal upheaval. There were many strikes in progress in Petrograd and in other Russian cities when the hour of conflict came and the masses of the people were stirred with a vast unrest. These surface symptoms were disregarded by the Russian social leaders, as they poured out of the cities for the holidays, all unmindful of the gathering war-clouds. They did not, however, go unnoticed in Berlin. There it was believed the war already determined upon would find Russia rent asunder by civil strife. The Germans, nevertheless, had failed to understand the psychology of the Russian people, just as they had failed to interpret the moods of other nations around them. When the fateful day arrived, the strikes at Petrograd vanished in a night, and the once-hated Cossacks, who had been brought into the city to preserve order in the Nevsky Prospekt, found themselves acclaimed by the people. From the farthest confines of the empire, day by day, came interminable trainloads of men eager to give their lives for the Czar. Immense crowds knelt in front of the Winter Palace, chanting the majestic and solemn strains of the Russian National Anthem. The war had brought a solidarity to the Russian nation such as it never had known before. For the first time in a century, a Czar of Russia looked out upon a nation one and indivisible, upon a people burning with zeal to take up the burden of a war which appealed more strongly to them than any campaign in which Russia had ever engaged. One of the first fruits of the moral awakening which Russia experienced in those epochal days was the entire prohibition of the liquor traffic. The Czar's imperative ukase, prohibiting the manufacture or sale of vodka, was accepted by nearly 200,000,000 people without a murmur and was regarded as a symbol of the transformation which the country had undergone. The loss in revenue sustained by the Empire by reason of the ban on vodka amounted to $400,000,000 a year, but all agreed that it was worth the price because of the increased efficiency it produced. At first the Czar's decree only applied during mobilization, but it was extended for the duration of the war. The result was magical. From the Baltic to the Pacific, not a public house was open, and the order was rigidly enforced to the letter. Prohibition was accepted patiently and without complaint by the entire population. Rioting and dissipation were things of the past, both at the battle front and in the capital. Such was the grave and earnest mood in which Russia braced herself for her tremendous task. 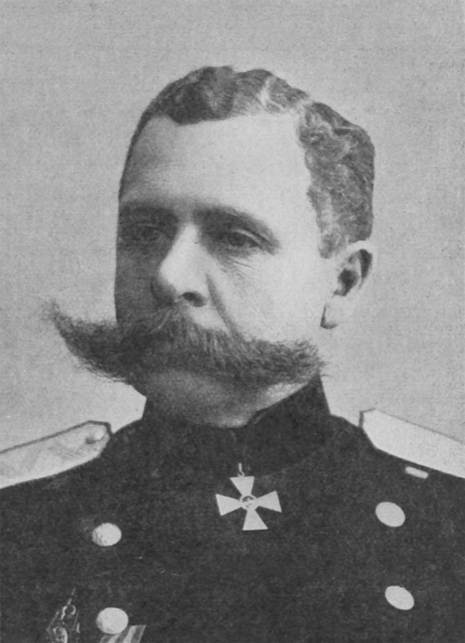 In the decade following the war with Japan, the Russian military establishment had been reorganized along modern scientific lines under the direction of Grand Duke Nicholas, the commander-in-chief of all the armies. A great general staff was organized on the German model. Numerous schools for the training of officers were opened, including an aviation school at Sebastopol. High-born incompetents were removed from important commands and their places taken by able professional soldiers like Russky, Alexeieff, and Brusiloff. The artillery arm was improved and enlarged; the infantry soldier was thoroughly trained in markmanship and skirmish combat; the antiquated Cossack cavalry tactics were modified. The Russian regular army, in 1914, comprised approximately 1,000,000 men, supported by a trained reserve arranged in yearly classes of 400,000 each, with a total personnel numbering 4,000,000. To supplement the regulars and reserves there could be drawn great levies, to the number of 20,000,000 perhaps, from a population of 185,000,000. In two important particulars, however, the army was still deficient—the services of supply and transport. The government arsenals and factories—controlled as they were by grafters and traitors—lamentably failed to produce the quantities of arms and munitions found necessary in carrying on a protracted war with a first-class power. The army was particularly short of big gun ammunition. All the perplexities and obscurities of the early months of the Russian campaign turned upon the difficulty of converting mobilized men into efficient combatants, clothed in uniforms, furnished with rifles and munitions and ready to fight. The lack of material and not the fighting qualities of her troops, was the chief explanation of such reverses as Russia occasionally encountered in the earlier stages of the campaign. A shortage of the means of waging war lay at the back of all her movements, and the knowledge gnawed at the hearts of her commanders. These deficiencies were laid at the doors of traitors within the gates; some occupying the seats of the mighty, close to the throne; others in the Ministry of War; some in the Duma; still some others in high financial and commercial spheres. These traitors were all-powerful; they could name the generals of the army; could control the ammunition and food supplies; could intercept the secret codes used by the Russian army chiefs. Some of them, though of German birth, were put in command of Russian armies. Through their machinations, Russia had been left naked to her enemies along a great extent of her frontier. The Polish salient, whose apex pointed westward to within 180 miles of Berlin, had been stripped bare of its fortresses, the old fortified triangle of Warsaw, Novogeorgievsk, and Zegrje having been dismantled after the Russo-Japan war and no substitute defences having been provided. In July, after Prussia and Austria had secretly decided upon war, the Russian Ministry of War ordered the transfer of all the Russian troops guarding the frontiers in the Odessa, Kiev, Petrograd, and Kozan districts to the summer training camps hundreds of miles inland. Those frontiers, therefore, were left unguarded at a critical time when common military prudence would have dictated the retention of the frontier troops. It is not surprising that the Minister of War, Sukhomlinoff, two of the German- Russian generals, and other culprits were subsequently court-martialed on suspicion of treason. They had also prevented the development of an inadequate transportation system in Russia. Though Gen. Kuropatkin, 15 years before, had pointed out the necessity for improvements in military communications, no action was taken until 1913, when the army reorganization bill went into effect. This scheme provided for an excellent system of strategic railroads along the German and Austrian borders, but at the outbreak of the war there had been completed only five lines leading to the west and four to the southwest frontier. Offsetting these the Germans had seventeen and the Austrians eight strategic lines of railroad. More than any other cause, it was the lack of adequate transportation facilities that spelled the doom of the Russian army. Russia's eyes were first opened to the inevitability of war on June 24, 1914 when Austria began to move eight army corps toward the Serbian frontier. Orders were at once issued to the Russian troops scattered in the far interior of Siberia to return to their winter quarters and undergo "preparatory mobilization" at midnight of July 29. Austria counter-moved by mobilizing all her armies. Russia thereupon ordered the general mobilization of her armies at midnight of July 30, 1914. Germany at once declared war against Russia, but prior to her declaration of war she had mobilized her entire first-line army and all her fleet. Germany, having twelve railroads for every one possessed by Russia, and with much shorter distances to cover, was able to com plete her mobilization in less time. Many of the Russian troops had to be transported from the Volga, 1000 miles inland. Despite these handicaps, however, the Russians were able to place 1,200,000 soldiers in line by August 9. 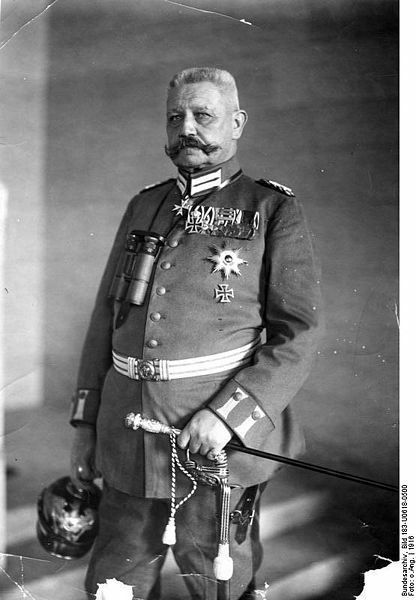 Austria meantime had concentrated 1,250,000 troops north of the Carpathians, under command of Archduke Ferdinand, and the Germans had 250,000 troops in East Prussia, soon to be reinforced by four army corps and commanded by Gen. Paul von Hindenberg. 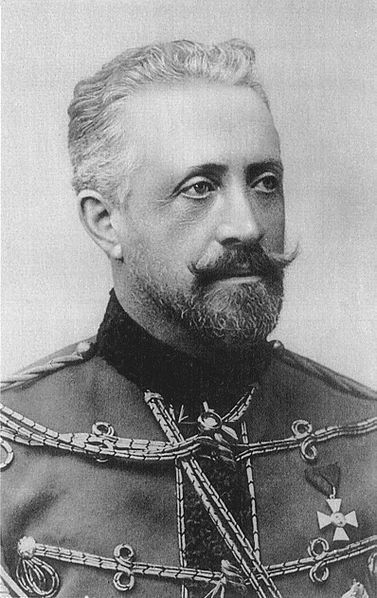 The supreme command of the Russian armies was vested in Grand Duke Nicholas, uncle of the Czar, but the War Ministry retained the right to name other generals in the army and to control the supplies of ammunition. We shall see how this arrangement led to Russian disaster in the field, due to treachery of the basest description. A Brief survey of the 1000-mile battle line, the longest in recorded history, may assist the reader in visualizing the campaigns that are to be described. The northern part of the line separates Baltic Russia from East Prussia. On the Russian side, the armies fought amidst innumerable marshes and lagoons, pierced by six great rivers which had to be crossed and recrossed as the tide of battle ebbed or flowed. Through the mire of this region the heaviest guns could not be moved, neither could trenches be connected because of the water seepage. The fighting in this area was confined principally to infantry engagements in the open. From Riga, the chief city of Baltic Russia, southward to the fortress of Rovno, there ran a continuous line of railroad, which it was vitally necessary the Russians should hold. On the Prussian side, a short distance across the frontier, lay the vast stretch of morass and swamp land known as the Mazurian Lake region, 60 miles long and practically impassable. Behind this natural barrier lay the German armies, with the guns of the fortressed city of Königsberg and of the German fleet in the offing as additional protection. To reach the German stronghold, the Russians had to skirt the Mazurian lakes on their northern and southern sides. In the central part of the battle line, where the wedge-shaped Polish salient projected 250 miles into Germany, lay the weakest link in the Russian chain, since it was open to simultaneous attacks from the north by Prussia and from the south by Austria. It would be impolitic for the Russian forces to guard the frontier of this salient, stripped as it was of its fortresses, for they might be crushed between the German and Austrian pincers. The capital, Warsaw, which is situated in the heart of the salient, was therefore left open to invasion on three sides. In order to protect Warsaw, the Russians had built a chain of forts along the line of the Vistula River, extending from Ivangorod, on the south, to Kovno, in the far north, the principal fortresses being located at Ostrolenka, Ossowiec, and Augustowa. Though strong at the northern end, the line of forts was vulnerable at the southern end, and might be turned by a flank attack out of Galicia at a point east of Ivangorod and Warsaw. This, in fact, is what the Austrians repeatedly attempted to do. Russia's chief line of resistance at the center of the battle line was rather the wilderness of swamps and bogs lying east of the Polish salient and known variously as the Pripet or Pinsk marshes. These interminable marshes, covering 30,000 square miles of territory, are absolutely impassable except for a few quaking roads, and a single line of railway connecting Kiev and Brest-Litovsk. The southern section of the 1000-mile battle line was bounded by the great Carpathian range of mountains, separating Russia from Austria, Poland, Galicia, and Bukownia. These mountains, whose peaks reach a height of 8000 feet, form a continuous barrier 800 miles long and nearly 250 miles wide. There are ten principal passes over the Carpathians, some leading into Galicia, others into the plains of Hungary. It was over these passes that the Huns of an earlier day poured when they sought the overthrow of the Roman empire. Here were fought some of the most terrific The Russian strategy had for its final objective the capture of Berlin, lying 180 miles due west of the frontier of Russian Poland. The shortest and easiest route to the German capital lay through the provinces of Posen and East Prussia, whose inhabitants, being largely Poles, and therefore kin to the Russians, would not be likely to offer any serious resistance. Before advancing westward toward Berlin, it was necessary that the flank of the Russian army of invasion should be protected against attacks by the Germans out of East Prussia on the north and by the Austrians out of Galicia on the south. Even in the improbable event that the Russian army, on its march toward Berlin, were not attacked in the flank by the Germans and the Austrians, the frontiers of Russia nevertheless would be left open to invasion by the enemy. Hence, common prudence whispered that the Russians must first conquer East Prussia and Galicia before proceeding to the conquest of Germany. It was accordingly decided to mobilize all the Russian forces on the line of the fortresses east of Warsaw, and from this base send forth groups of armies, for the simultaneous invasion of East Prussia and Galicia. Austria, being the first to mobilize her army of 1,250,000, and greatly excelling in heavy artillery, decided to strike the Russians a blow in western Poland before they could completely mobilize their forces. By so doing, she hoped to cripple the Russians at the start, and prevent their invasion of Galicia. This strategy, as we shall see, was upset by Russia's speedy mobilization. Germany's strategic plan concealed a twofold purpose. 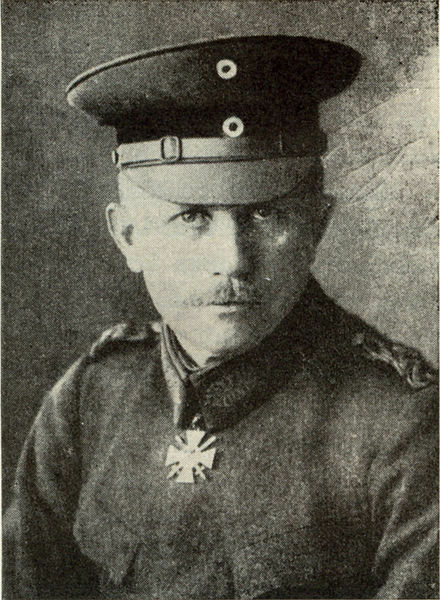 While the Austrians were cutting the Warsaw salient from the south, the Germans would attempt to cut the salient from the northwest, before the Russian mobilization had been effected. If, however, the Russians should invade East Prussia before this movement could be well inaugurated, the Germans would lure the Czar's forces on to destruction in a trap already set for them in the treacherous morasses of the vast Mazurian lake region.